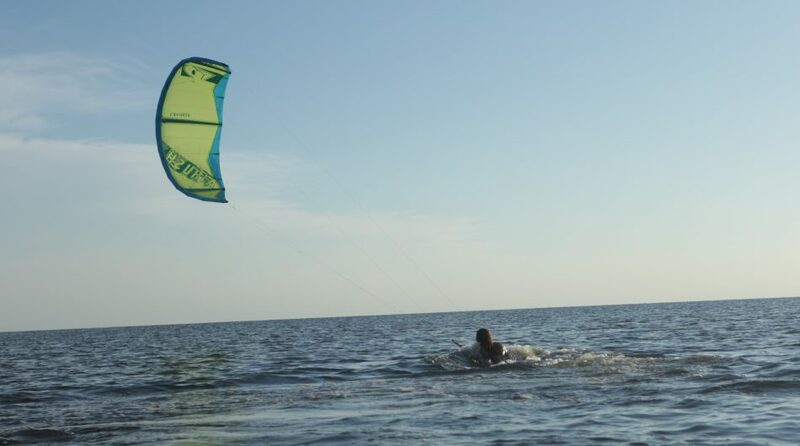 Waist deep, sand bottom, and steady side on shore winds makes for perfect kite lessons. And it is just out our backdoor. 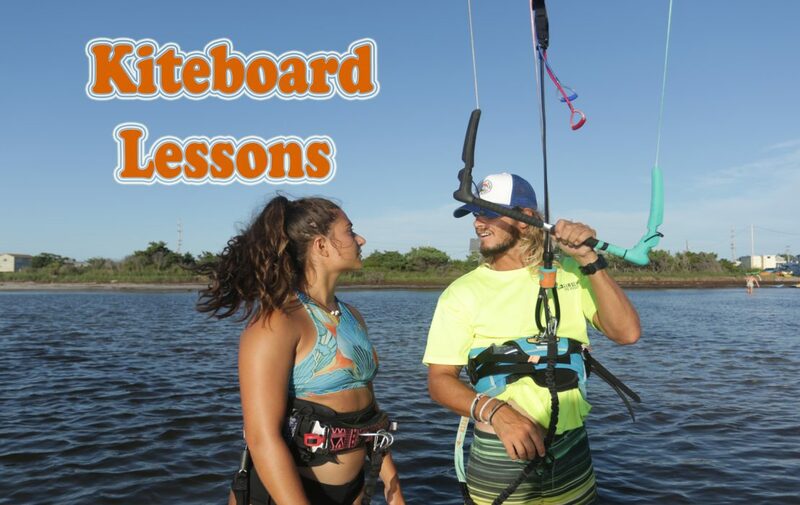 Why should I book a kiteboarding lesson with HISS? Quality instruction. At HISS we have a small lesson staff of 3-4 experianced instructors. 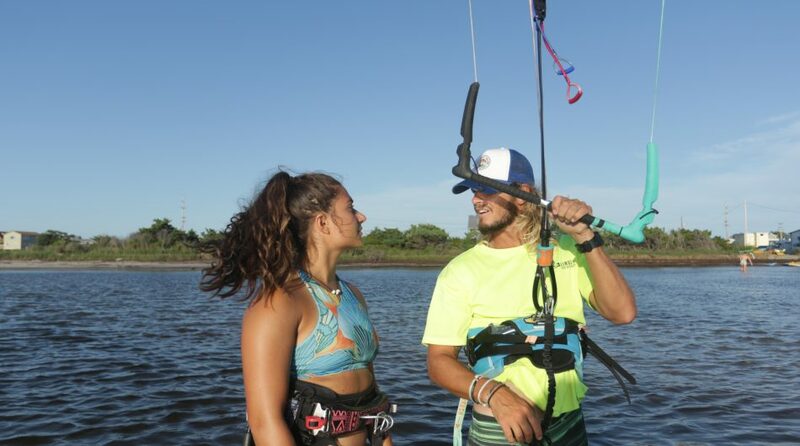 We have Barton Decker with over 10 years kiteboarding teaching experience and his son and sponsored Airush rider Reider Decker with over 6 years of teaching experience. We only have people working for us that are as stoked and care as much about teaching as we do. Click here to learn more about our crew. All private lessons. 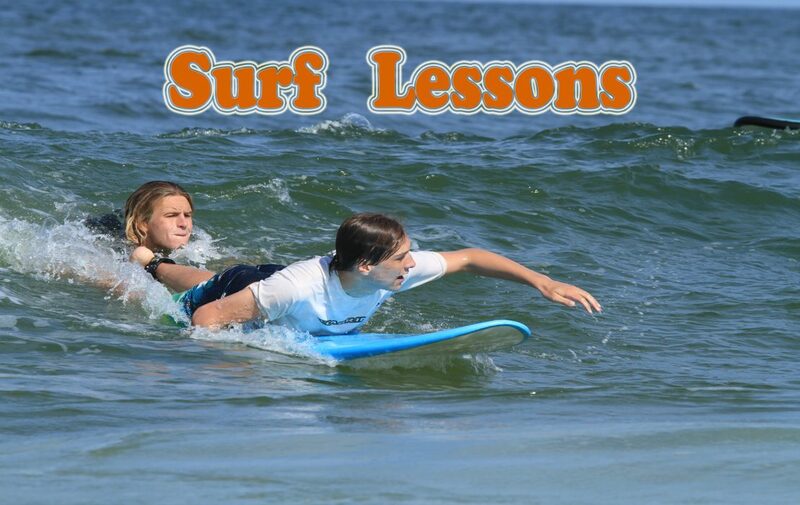 We only do private lessons unless otherwise requested. Group lessons can work for the first few hours of beginning instruction, but beyond that they become challenging. People have different ways of learning, experience levels, and progress differently. From our experience, we have found people get the most out of one-on-one lessons. Price. 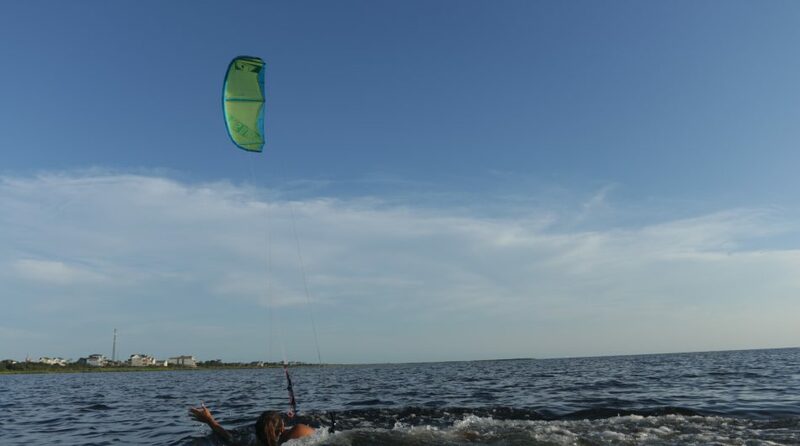 Kiteboarding lessons are expensive, there is no getting around that. 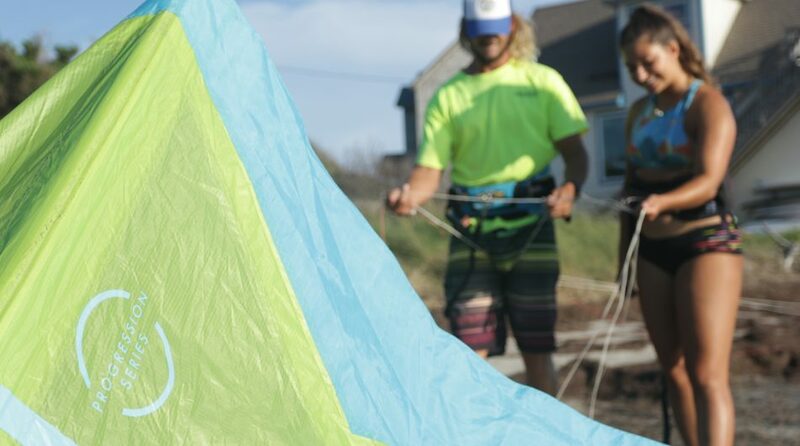 The equipment, liability, and intensive nature of kiting lessons make it expensive. We make are lessons as flexible as possible by billing in 30 minute increments after the first hour. 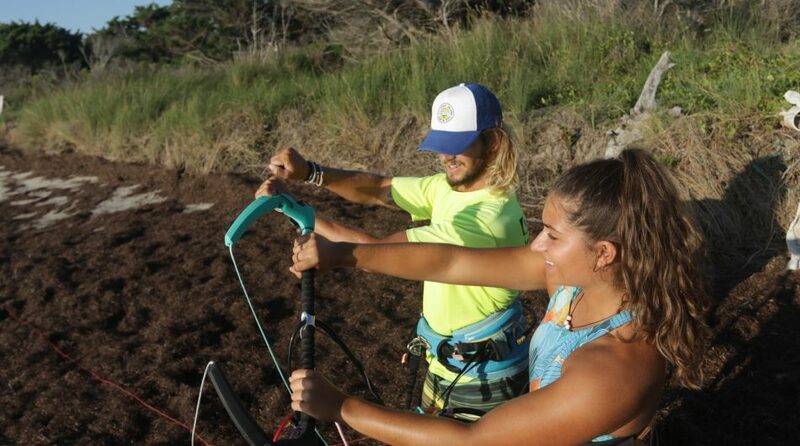 Doing primarily private lessons allows us to advance you as quickly as you progress, getting you further along with less hours of instruction. 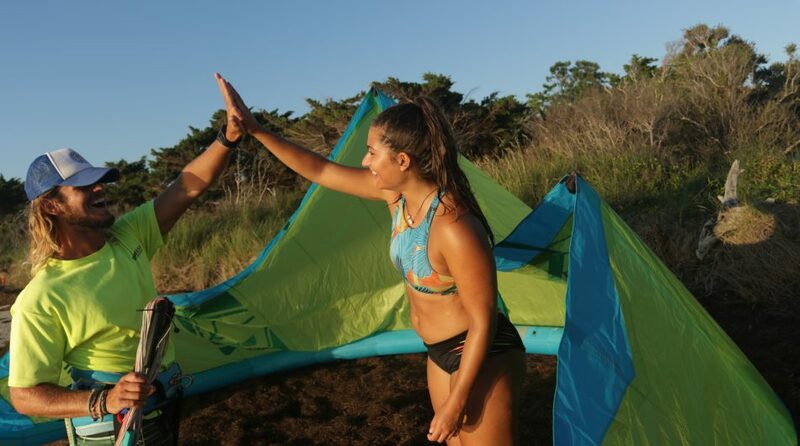 We believe Private Lessons work the best. People have different ways of learning, experience levels, and progress differently. 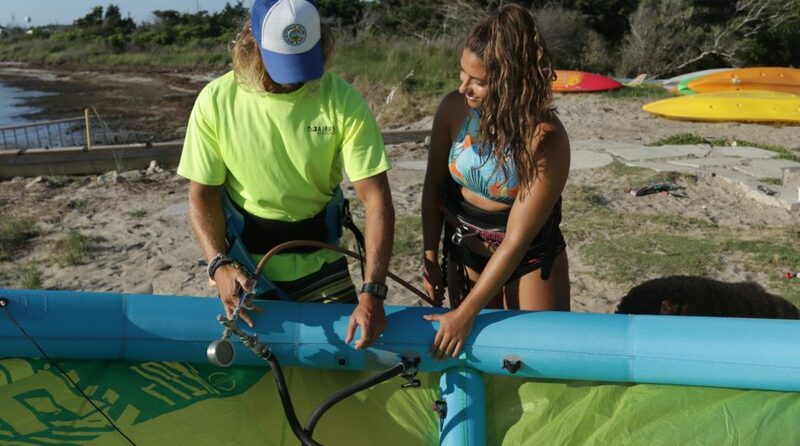 From our experience, we have found people get the most out of one-on-one lessons, partially if you are learning water starts or other things on the board. Lessons are billed in 30 minute increments. 10 minutes per session is occupied by equipment setup. Need a Jet Ski around for support? No worries! 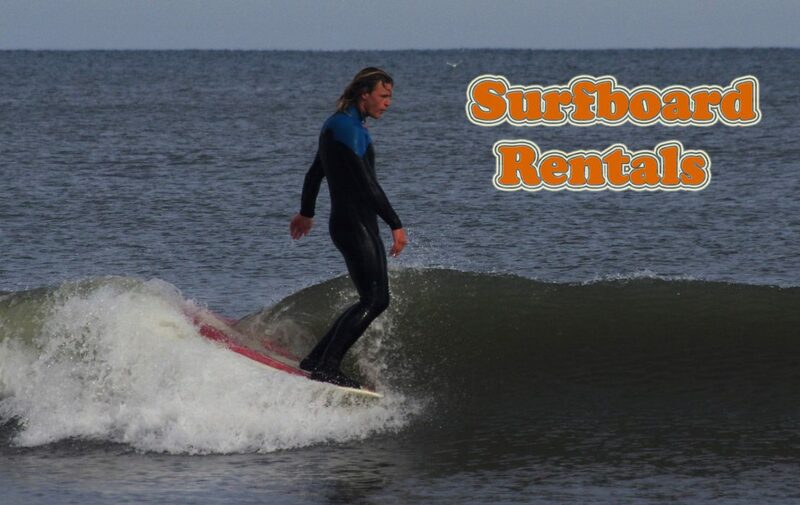 We offer Jet Ski supported lessons. 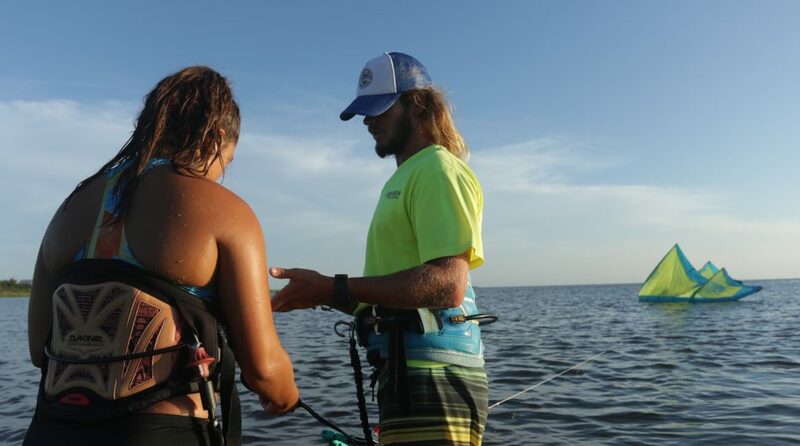 We recommend using Jet Ski supported lessons once you are consistent at water starts but still not able to stay upwind. 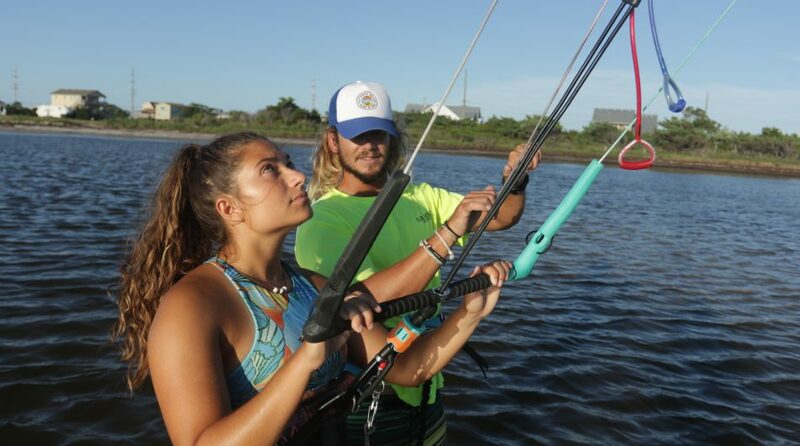 Group lessons are comprised of 2 students and 1 instructor. Group lessons work well for the first few hours of beginning instruction, but beyond that they become challenging unless the students are of very similar size and experience level. We do not pair individuals together for group lessons, meaning if you would like a group lesson you must bring someone with you to share the lesson. 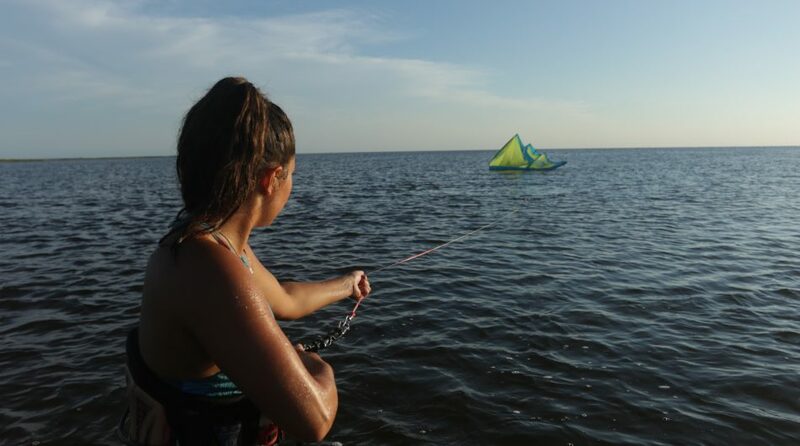 How do I book a Kite lesson with HISS online? You can book a lesson online with us by clicking the “Add to Bag” button above. 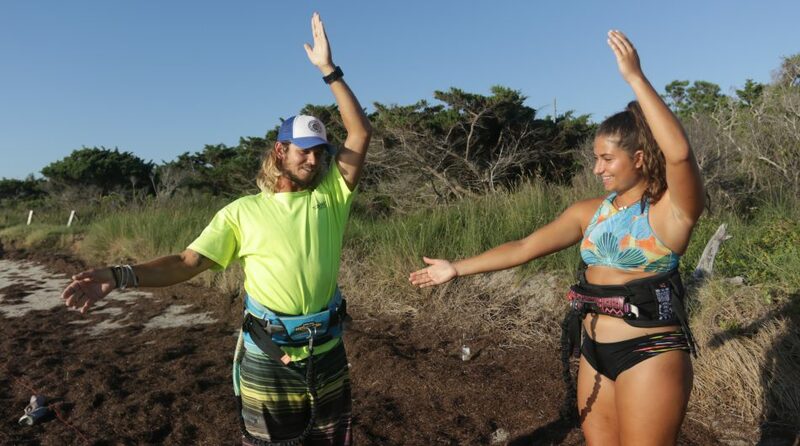 When booking a kiting lesson online you can choose to pay the “standard small deposit”, which will be taken off of the full price of the lesson you pay in the store and is refundable if you contact HISS 48 hours before your lesson. (We only charge you AFTER your lesson for you lesson time). 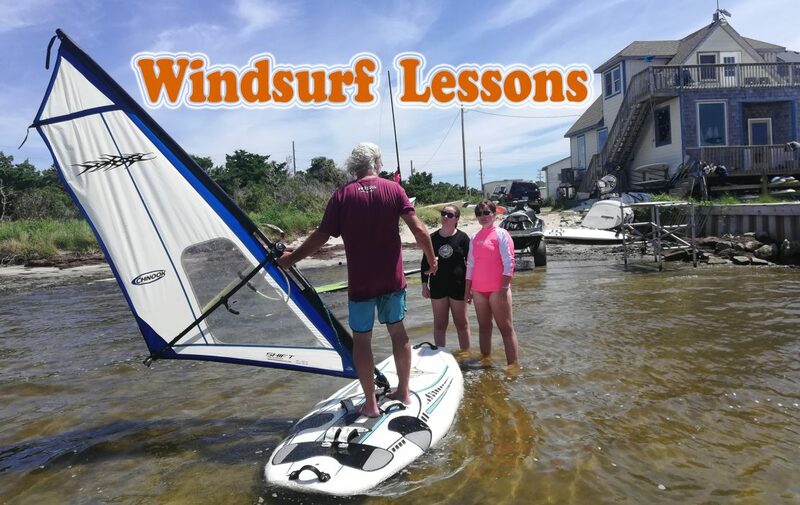 If there is no wind during the day your lesson is schedule and we are not able to move your lesson to another day during your stay, we will refund you your deposit. If you book using the “standard small deposit” option and the conditions are not adequate during your lesson day and we are not able to move your lesson to another day during your stay, HISS we refund you your booking deposit. 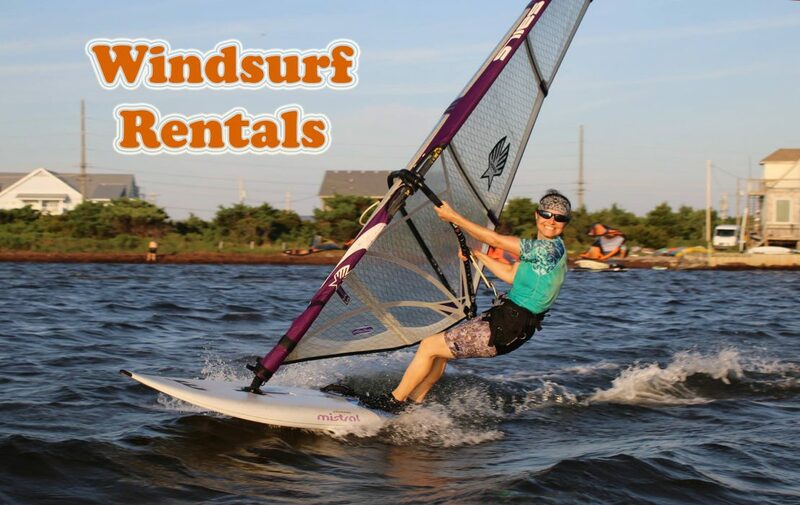 You can also choose to pay for the full amount of your lesson up front by selecting “Gift Card/Full Lesson Amount.” This option is NOT REFUNDABLE but will not expire, so you can come back at a later date and complete your lesson or transfer it to another person for lessons or rentals or use it for other store credit. 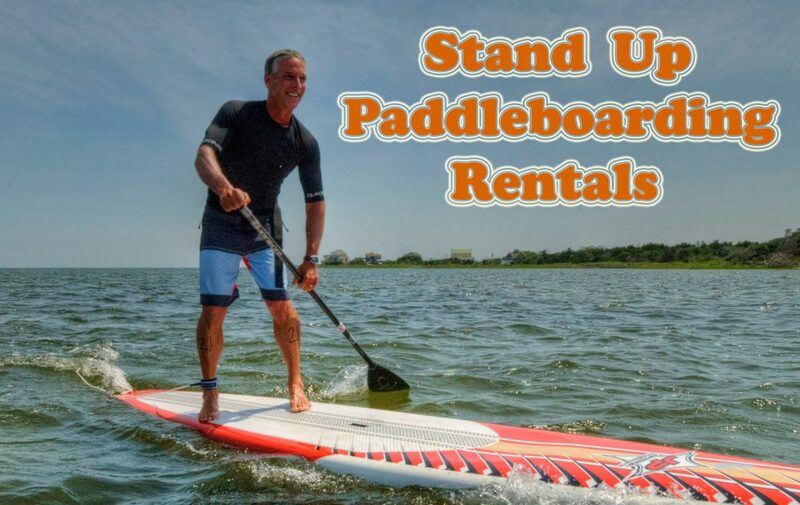 If you have any issues with booking your lesson online please do not hesitate to contact us at reider@hatterasislandsurfshop.com or 252-987-2292.